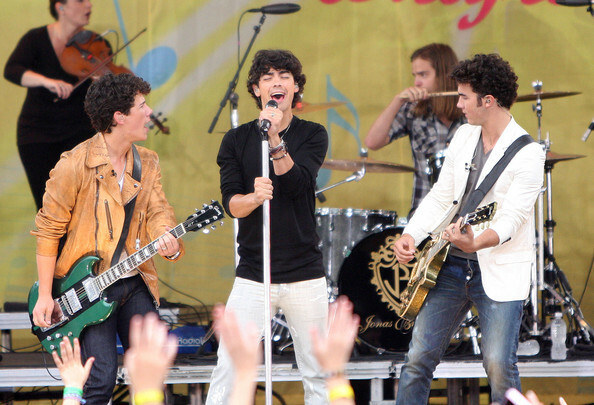 Within the last week, it’s been rumored there may be a Jonas Brothers reunion coming up at some point this year. After the band split up in 2013, their fan base has never died out, and the unconfirmed tour has everyone burnin’ up! None of the brothers have confirmed whether this is actually happening. However, Nick, in particular, has been quite vague on social media. Nick posted a video on his personal Instagram account (https://www.instagram.com/p/BthIsI6F0cs/ ) saying there are “exciting thing comings,” which of course has people going nuts. Immediately, fans began raving about a reunion tour, but we still have no confirmation. Although, we are awaiting one. As a diehard fan from the age of seven, I have already made plans with friends to buy tickets for this tour the moment they come on sale (when and if it happens). I proudly still have a PopStar poster of Nick Jonas in my bedroom at home, along with backstage passes signed by the brothers. The Jonas Brothers were our childhood, and the possibility of a reunion tour has me and the other nostalgic Jo Bro fans near tears. I recommend keeping up with the news and following the reactivated Jonas Brothers accounts on social media to stay up to date on the potential news for a reunion.